Sowerby Bridge Morris DancersSowerby Bridge Morris Dancers are a mixed dance team performing in the North-west morris tradition. We are based in the West Yorkshire mill town of Sowerby Bridge in the heart of the South Pennines. The team was originally formed as an all-male side in 1979 following the success of the Sowerby Bridge Rushbearing Festival. They danced regularly up and down the country until 2003 when a dwindling number of dancers made performing impossible. 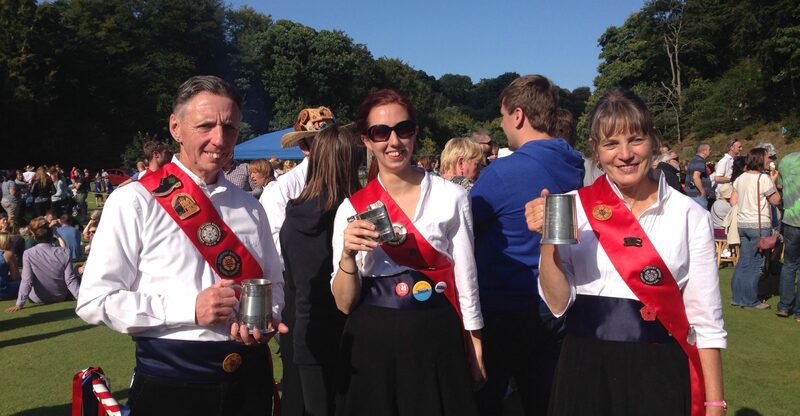 In 2011, Amy-Rose Medlock revived the team as a mixed side with a view to performing at that year’s rushbearing. Practices began early in 2012 and we enjoyed our first dance-out in June of that year. We perform all four of the team’s original dances from the early 1980s, as well as two traditional dances from the now sadly defunct Colne Royal Morris Men. We have also developed two original dances, the Jubilee Diamond and the Rushcart Dance. Complementing our dancers are a group of lively musicians who play for us on practice nights and at dance outs. We welcome new members. If you are interested in finding out more or joining our team you can contact our Squire, Amy-Rose Medlock, on 07837 438410 or by email amyroseatkinson@yahoo.co.uk Or you can come along to one of our practice nights in Sowerby Bridge on Tuesdays, 8:00pm to 10:00pm – currently held upstairs at the Hollins Mill pub, 12 Hollins Mill Lane, Sowerby Bridge. You can see photos of our dance outs by clicking the blog tab above.